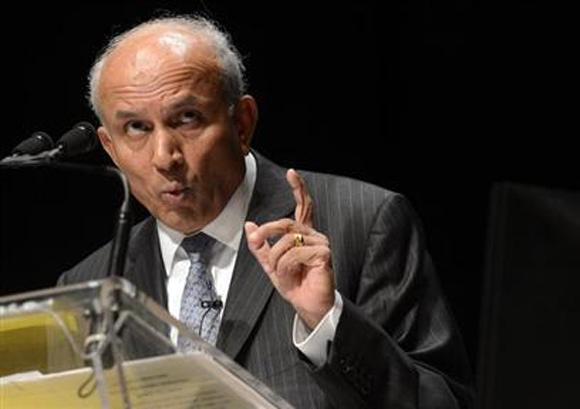 BlackBerry Ltd's decision to accept a $1 billion cash injection from a group of investors led by Canadian financier Prem Watsa shocked other potential bidders for the smartphone maker and has left some investors crying foul. With the investment deal, BlackBerry abruptly ended an auction process that many investors had hoped would have led to a sale of the company or some of its assets, ending a long decline in its fortunes as a public company. BlackBerry has bled market share in recent years, as it struggled to compete with Apple Inc's iPhone and devices running Google Inc's Android software. The investment deal with the Watsa-led group gives BlackBerry more time to come up with a new turnaround strategy and installs a respected industry executive to lead the charge. BlackBerry CEO Thorsten Heins was ousted, and John Chen, credited with turning around Sybase Inc in the late 1990s, took the helm on an interim basis. But investors are skeptical that time will solve the company's problems. BlackBerry has failed to win back customers despite refreshing its software and launching a new line of its once ubiquitous phones. They say the only person who can benefit from the deal is Watsa, who over the years has built a reputation as a shrewd investor, attracting comparisons to U.S. billionaire Warren Buffett, who often presented himself to companies as lender of last resort. "Watsa didn't get where he is by paying retail, he knows how to pay wholesale prices," said Ross Healy, a portfolio manager with MacNicol & Associates whose clients own shares in BlackBerry. Healy said most shareholders were disappointed, but he still hoped the company can turn its fortunes around. Watsa, the chairman of Financial Holdings Ltd, said in an interview on Monday that the "for sale" sign at BlackBerry was coming down. "The company is now being run for the long-term, it is financed very well so that it can be run for the long-term, if not we wouldn't be putting this money in," he said. 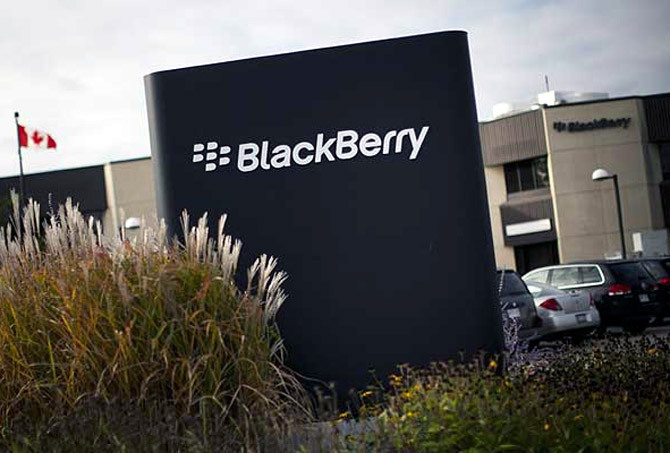 Watsa, who had stepped down from the board to pursue a bid for the company and is already BlackBerry's largest shareholder, returns as the lead independent director. 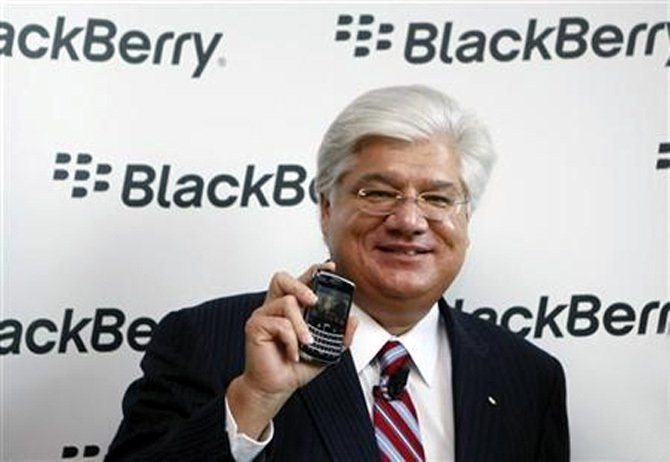 Sources familiar with the matter said at least one bidding group, which included BlackBerry founders Mike Lazaridis and Douglas Fregin, had sent a letter to BlackBerry over the weekend expressing interest in the company and asking for more time to finalize a bid. The consortium, which also included private equity firm Cerberus and mobile chip giant Qualcomm and was backed by Goldman Sachs Group Inc, was confident it could secure the necessary financing but found BlackBerry uncooperative in providing key information, including on its government contracts and intellectual property portfolio, the sources said. The group was surprised on Monday morning to find that the process had ended. It is evaluating options for its next move, the sources said. Spokespeople for the participants of the consortium declined to comment. Other sources familiar with BlackBerry's board's thinking said it moved ahead with Watsa's financing proposal because Cerberus and its partners did not have a complete proposal with the required financing in place. These sources said that all the strategic and financial players that delved into the company's books were aware of Monday's bid deadline, and that the board opted for the best deal put before it within the timetable laid out. A BlackBerry spokesman said the company was confident that it had run a robust strategic alternatives review process and the Watsa deal was in the best interest of its shareholders. People familiar with Watsa's efforts to raise buyout financing for his original, tentative $4.7 billion bid for BlackBerry said on Friday that Fairfax had been turned down by several large banks over concerns that the smartphone maker will not be able to reverse its fortunes. By some measures, Watsa struck a good deal for himself by changing course and buying the company's debt rather than acquiring it outright. Fairfax will get $250 million of the seven-year unsecured subordinated debentures issued by BlackBerry, which have a coupon of 6 percent. The coupon, which is akin to that seen in recent junk bond issues, reflects the risk but is still an attractive yield at a time of record low interest rates. With BlackBerry having no debt before this deal, the bonds offer Watsa more protection should the company go bust but also promise profits should it recover. They can be converted into BlackBerry common shares at $10 each. At that price, the deal would also reduce Watsa's investment cost in BlackBerry. Fairfax paid an average of $17 per share to build its 9.9 percent stake in the Canadian company over the last three years. Watsa and the other bond investors have an option to increase the investment by $250 million. 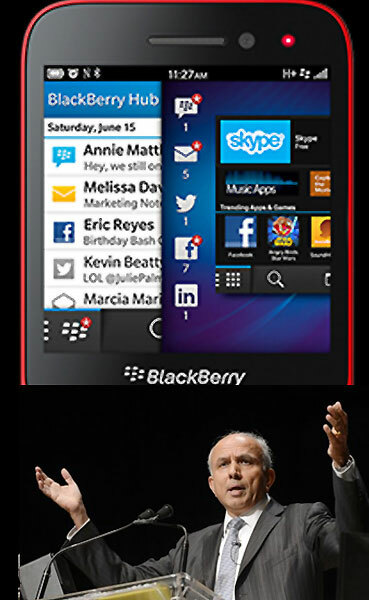 "BlackBerry is hemorrhaging employees, it is hemorrhaging customers. The only thing that's growing is doubt," said John Stephenson, a senior vice president at First Asset Investment Management and one of BlackBerry's disgruntled investors. BlackBerry's shares plunged 16 percent after the Monday announcement, although they recovered some of the losses on Tuesday, closing up more than 3 percent at $6.98.